V. K. Mohanty has written the book “Re-union”, here in this candid chat we get to know the person behind the book. – Tell us something about yourself and your book. I am a middle class family man who is a railway employee. It is a tough job trying to work on my writing skills along with a full time job. “Re-union” is a story from my heart. I have tried to write a story that the feels real to the reader. – You chose to write your book in Hindi. Is there a particular reason for choosing this language? 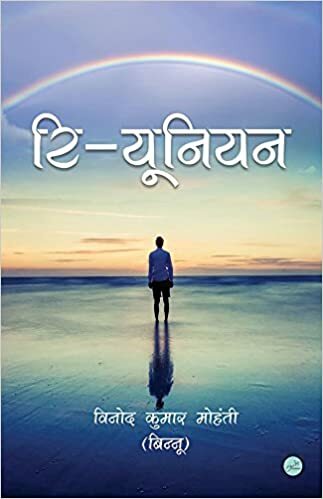 I chose to write my book in hindi because, frankly, I am a Hindi medium student and secondly, I feel that I can express much better in Hindi, especially the sentiments, as compared to English or any other language. – What was your thought process behind writing ‘Reunion’? The idea behind writing RE-UNION is that I am also an engineering student and during our student days we spend a good amount of time interacting with people of different regions and religions. Secondly, my idea was to write such a story which minimizes the generation gap and the importance of keeping our culture alive even when we live a modern life. – Your story is coming of age, where seven friends gain adulthood. What was your inspiration in writing this story? – Unlike other stories, one can say that your book has seven ‘main’ characters, how did you create these distinct characters, are they somehow based on people you know? I characterized my seven main characters keeping in mind the seven colors of a rainbow. I have also tried to cover seven directions and seven religions of India. All the characters are from my imagination and are not based on anyone in real life. – Any words of advice for other authors who are thinking of writing, especially in vernacular language? I am not in a position to advice anybody as I am still learning, but I believe that whatever you write should be from bottom of your heart and when a reader reads your work, s/he should feel like they are reading a real story and the situations that you put in the story must be realistic. – Are you a reader? Which are your favorite books? Yes I am a reader but I always prefer to read stories which make me feel, otherwise I will stop reading. I don’t care who is the author, maybe it is written by a famous writer but important thing for me is that I must feel that the story is realistic, that is my criteria. Till date my favorite book is 2 States by Chetan Bhagat. – What do you wish for your book? I wish that when the readers read my book, they should feel good and their eyes should be filled with tears and more importantly, when s/he closes the book after finishing it, they should be left with the “WOW” factor.